As Justine had abandoned me and headed off to Australia, I decided to take Saturday and do a hike. 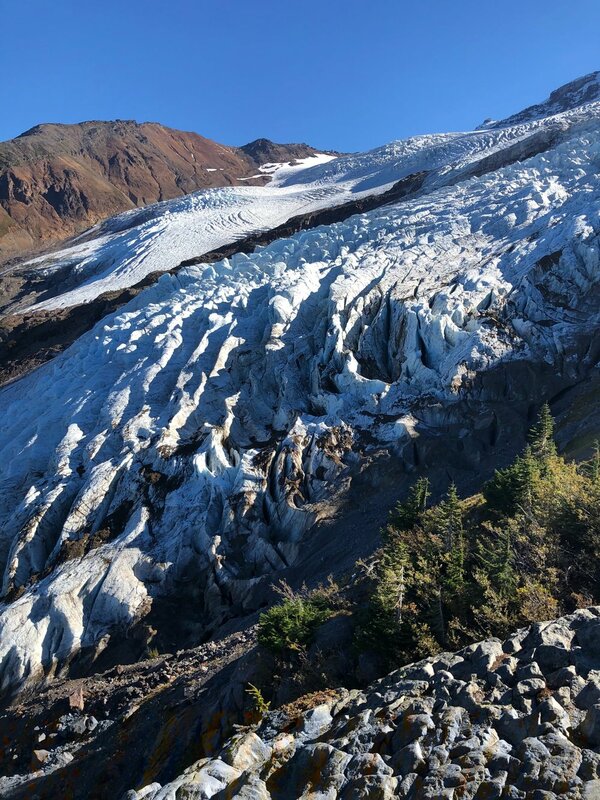 My friend Bill agreed to come for the day, and we headed down to Mount Baker to take advantage of another spectacular fall day. We got off to an early start, but it was a pretty long drive down, plus a bit of a wait at the border. At the trailhead there were already a lot of cars in the parking area - can’t imagine what that must be like in the summer. The sun was starting to come up as we headed up the trail. 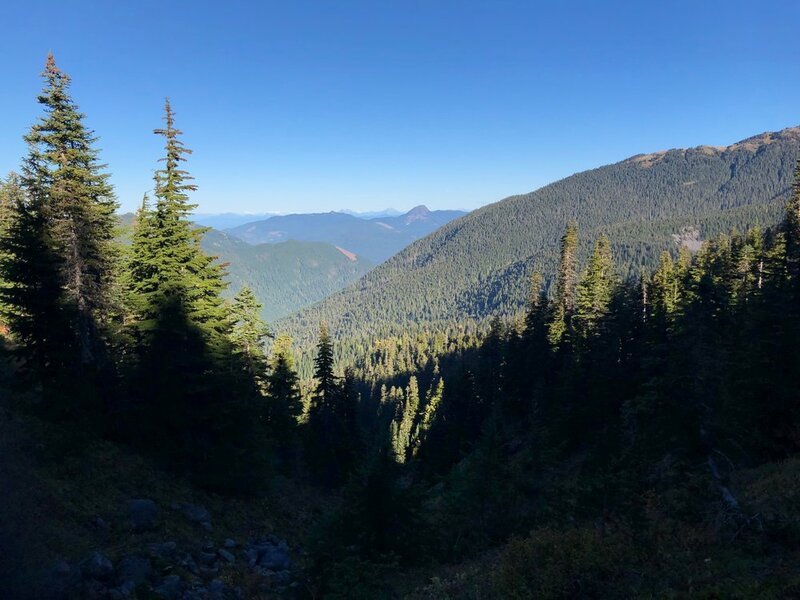 The trail is within the Mount Baker Wilderness and leads from dense old growth forest to what would be flower filled avalanche chutes in the summer, over rocky moraines to the snowy alpine zone. As we started up the trail, we soon passed the first of what was to be many waterfalls and river crossings. There wasn’t a lot of water coming over this waterfall. The trail crosses Grouse Creek on a stout bridge and then enters dense forest, climbing steadily. The forest begins to thin as you climb higher and huckleberries are abundant along the trail. Once we got above the tree line the terrain is rocky with herbaceous vegetation and numerous streams and on this day a wind that was howling pretty good. As we climbed, we were treated to many great views, some of which looked all the way back to Whistler mountain. It didn’t take all that long for us to catch a glimpse of the glacier through the trees. 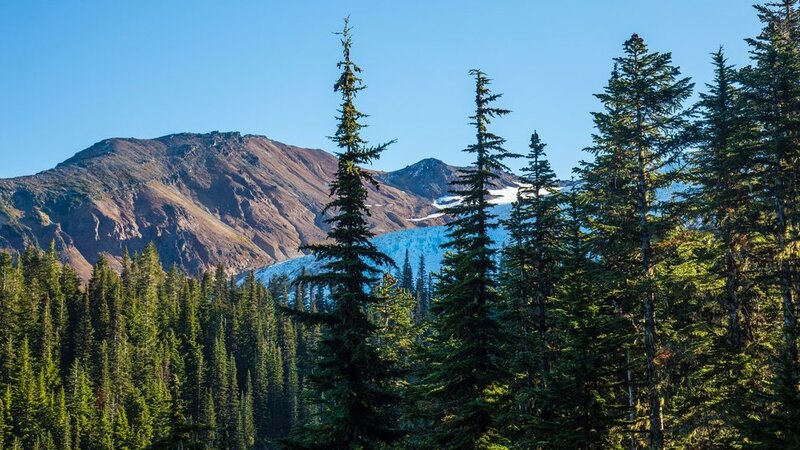 Mount Baker looms above, and at this point the trail reaches the most difficult of the trail’s stream crossings. Crossing the creek we continued east to a moraine deposited by receding glaciers. 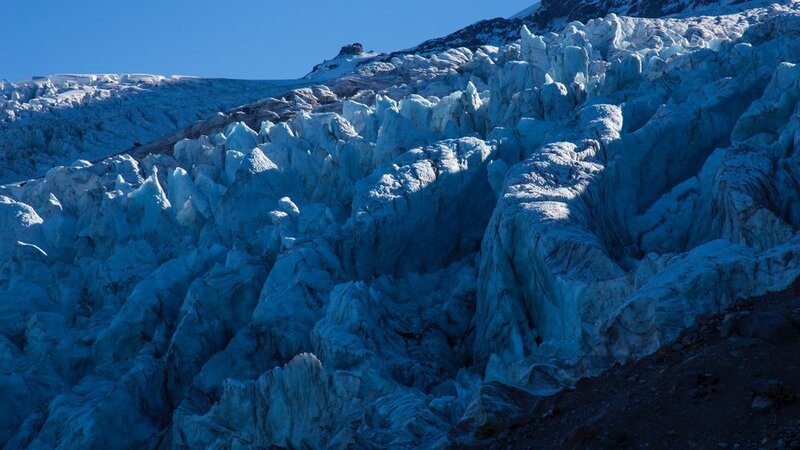 From the overlook, the Coleman Glacier is an awesome sight, spilling down Mount Baker's flanks into a jumble of ice. 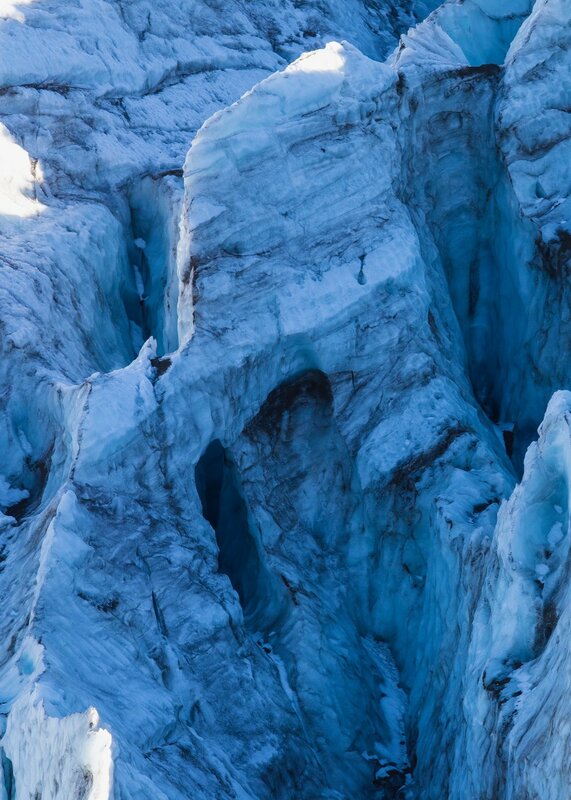 Down in the ice fields, there were tons of climbers practicing their ice climbing skills. Crazy. The hike itself wasn’t that long or hard. It was about 4.5 km up - lots of switchbacks, but before long we crossed the last river (this one had a lot of water still), and we opened up into a bit of a meadow, right along the moraine where the glacier had retreated. Many of the people we had seen on the trail were headed down onto the ice. We were content to stay up on the ridge, and take in the amazing views. 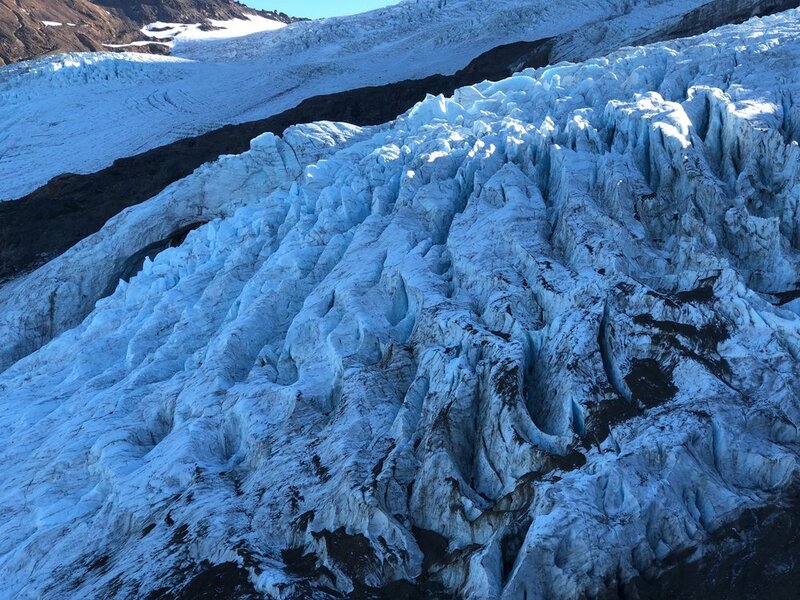 There’s still quite a bit of glacier left on this side of the mountain, protected from the sun. Bill checking out the crazies down on the ice. We ended up hiking quite a ways up the ridge, at some points getting very close to the glacier. The views were amazing, and there was so much area to explore, you could spend days up there. After exploring for a bit, we settled down on a big rock outcrop and had some lunch. After lunch, it was a pretty easy hike back down. The last river crossing that had been a bit treacherous (as it was iced over when we went up) was thawed out and much easier on the way back. After getting organized back at the trailhead, we headed back out and towards home. Rather than heading straight back, as it was such a beautiful day we headed further up the mountain to the top where the ski lifts are. It was a pretty amazing day, and good ot get out with Bill - it had been too long.